Let’s say you have a lovely graphic of an area, like a downtown district or a park. It’s a flat, top-down view, like most maps. 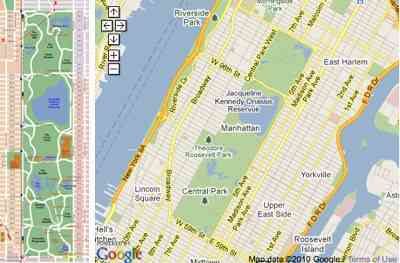 But it doesn’t quite match up with the streets or other features of a mapping API’s imagery. Before you can overlay your image, you’ll need to georeference it. The process is also called rubber sheeting, because you are essentially stretching and manipulating your graphic so that every point of your graphic meets up with the appropriate geographic coordinates. In the book I use Central Park as an example. I uploaded a graphic from a park brochure to a site called GeoWarper. 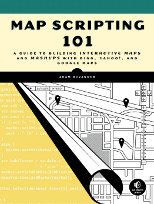 Then I referenced parts of the graphic with other identifiable areas in an OpenStreetMap version of the same area. GeoWarper then spits out a georeferenced version of the graphic. Want to try it out yourself? The original graphic is included above. You can start your own, or use mine. 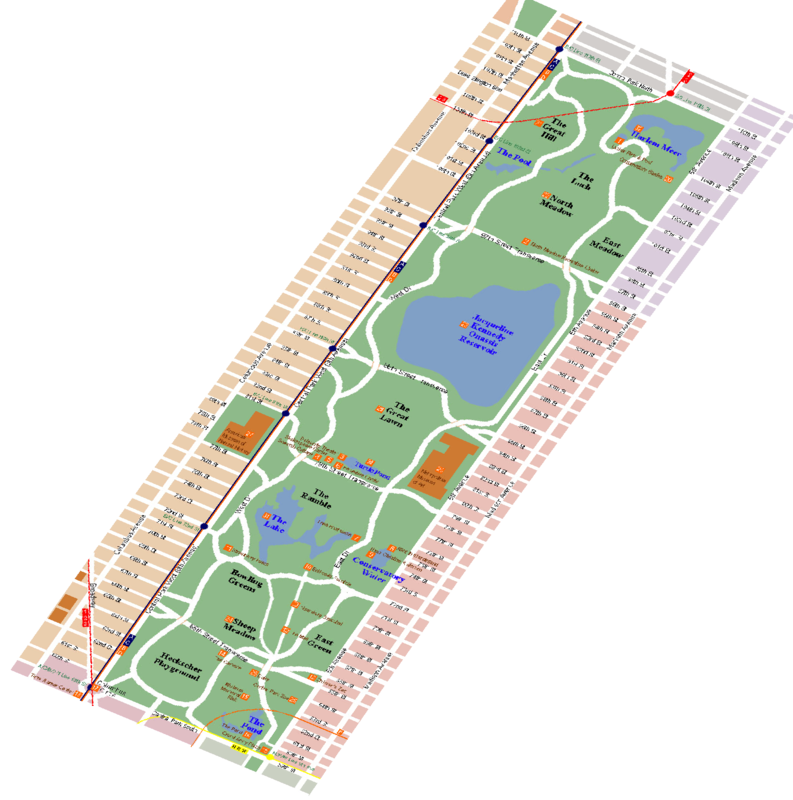 If you just want to see it completed, the warped graphic is also above and the Central Park map is in my examples section.